Summary: Did you know that the longest worm (the Australian Gippsland Worm) grows to be ten feet long? That there can be millions of earthworms living in a small park? The lowly worm gets some respect in this early reader. Billed as a cartoon by the publisher, the pages are all done on brown paper bags; regular text is supplemented with frequent cartoon bubbles. 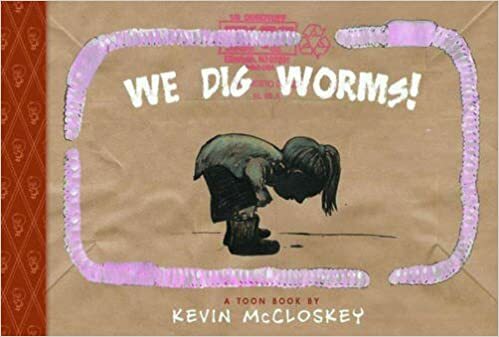 Readers will gain a new respect for worms and the important role they play in keeping soil rich and fertile. Ages 4-8. Pros: This book, which resembles a brown paper lunch bag in size, shape, and color, is a fun and light introduction to an often overlooked animal that can be found in your own backyard. Cons: The intended audience of beginning readers may be challenged by such words as setae and clitellum. Summary: Starting with his somewhat enchanted childhood in Cambridge, Massachusetts (complete with happy family, summers on a New Hampshire farm, and a large tree house heated by a wood stove), this book recounts the life of Edward Estlin Cummings. Estlin was both a poet and an artist. From an early age, he loved spending time drawing and playing with words, and he continued with both activities for his entire life. This book emphasizes how he responded to life with his creativity, experimenting with words and poetic forms to express what he experienced as he moved from his home in Cambridge, to Harvard, to France, where he drove an ambulance during World War I, and to 4 Patchin Place in Greenwich Village, his home for much of his adult life. End matter includes a chronology, several poems, and an author’s note. Grades 2-5. 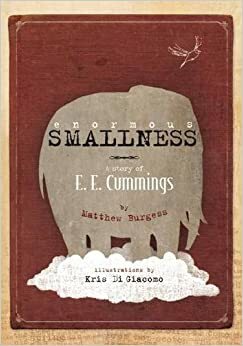 Pros: This book captures the joy E. E. Cummings experienced through his creativity, both in the writing and the illustrations, in which Estlin is consistently portrayed with a smile on his face. The poems are well-selected to appeal to young readers. Cons: Despite their brevity, the poems of E. E. Cummings could be a bit difficult for elementary readers. Summary: Princess Magnolia is back, doing her quick-change routine from perfect pink princess to the monster-fighting Princess in Black. This time, she’s trying to enjoy her birthday party with her twelve princess guests, but that darn glitter-stone ring keeps ringing, alerting her to monster invasions. When it goes off, she ducks into the broom closet, puts on her black clothes, and rides off on her black horse, Blacky (transformed from Frimplepants the unicorn). Time and again, the ring goes off, and the princess has to dash off to fight monsters without alerting her guests to her secret identity. When a monster attacks just as the presents are about to be opened, it’s the last straw. Will the princess ever get to celebrate her birthday? Grades K-3. 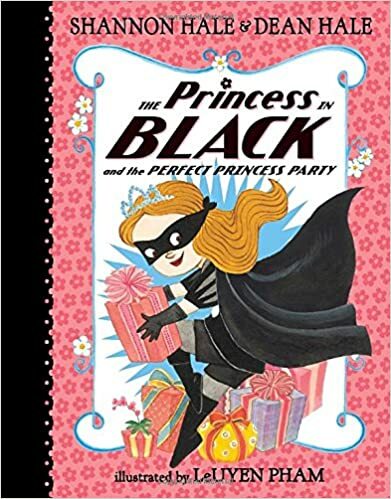 Pros: The second entry in the Princess in Black series is just as winning as the first, with a spunky heroine, sly humor, and plentiful illustrations. A perfect first chapter book. Cons: Duff the Goatherd, one of my favorite characters from the first book, was almost completely absent from this installment. Summary: Saya’s mother, an immigrant from Haiti, is in jail for not having the right papers. Saya and her father visit Mama every week, but it’s not the same as having her at home. Saya’s father writes letters every evening, contacting politicians and reporters to try to get help. One evening, Saya decides to write her own story. Her father sends it to a newspaper, and a few days later, a reporter comes to interview them. As a result of the story in the paper, Saya’s mother gets to see a judge who allows her to go home while she waits for her papers to come through. 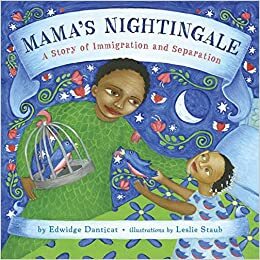 In the author’s note, Edwidge Danticat tells the story of how she and her parents were separated by immigration until she was twelve years old. Grades K-3. Pros: Kids will be fascinated by Saya’s story and inspired by the way she helps her mom. The illustrations are beautiful, with bold colors and symbols from Mama’s stories woven into the pictures of the family. Cons: Expect a lot of questions about what is going on with this family from readers unfamiliar with immigration laws. 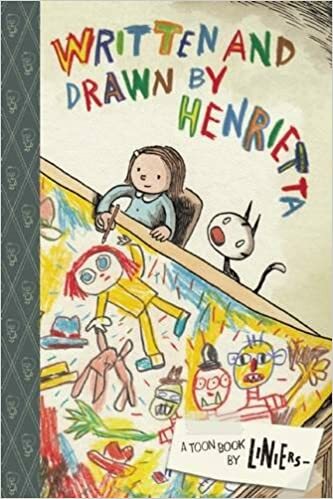 Summary: When Henrietta’s mom gives her some colored pencils (“A box of colored pencils is as close as you can get to owning a piece of the rainbow”), she’s inspired to write and illustrate a book entitled, “The Monster with Three Heads and Two Hats”. The rest of the book is her story as it unfolds, with side pictures of her working, sometimes inspired by her cat, Fellini. Henrietta struggles with writer’s block, but eventually gets so into her work that she scares herself at times. The final page shows Henrietta and Fellini walking with the pages of the book tucked under Henrietta’s arm as she says, “Now let’s go look for a publisher.” A Spanish language version, Escrito y Dibujado por Enriqueta is also available. Ages 5-8. Pros: A celebration of a child’s creative process, told in cartoon form. Readers will enjoy both Henrietta’s book and her efforts to produce it in this colorful easy reader. Cons: Some of the hat varieties (fedora, montfra, Phrygian cap) may be challenging for beginning readers. Summary: Hannah is reeling from a double blow: her neighbor and best friend Sophie has recently moved away, and she’s just learned that her stepmother is pregnant. When she meets the new girl whose family bought Sophie’s house, she’s sure she won’t like her. But Hannah and Emme both have palindromes for names, love swimming and hate pizza, and share a New Year’s Day birthday. They feel like they are almost twins, and soon they are best friends. Fifth grade brings its share of ups and downs, though, and each girl worries about growing apart from the other. Narrated in the alternating voices of Hannah and Emme, this story chronicles a strong friendship capable of withstanding the ups and downs of being eleven. Grades 4-6. 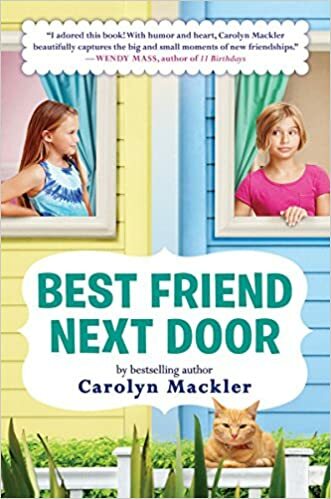 Pros: Fans of Wendy Mass, Cynthia Lord, and Meg Cabot will enjoy the story of a friendship between two “girl next door” characters. Cons: Some parents may take issue with the portrayal of Elle’s two-mom family. Summary: A girl explains what she does when the world is spinning too fast and she wonders how to fit in. She quiets her body and mind, slows her breathing, and practices yoga poses. Tree pose allows her to touch the sky, star pose allows her to shine. When she’s done, she is rested and calm, the world seems just the right speed, and she fits into it just fine. The sixteen poses shown in the book are named and described on three pages at the end. Ages 4-8. 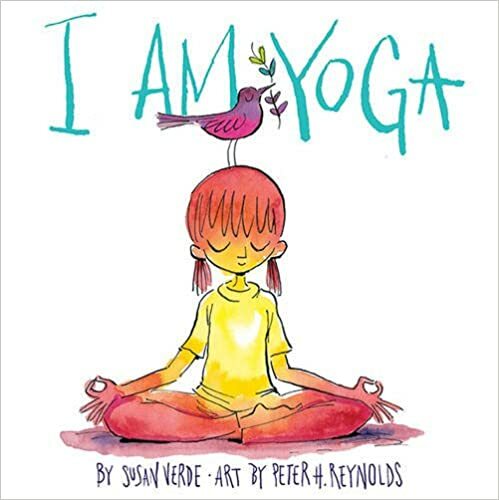 Pros: A fun introduction to yoga poses for young children. Cons: I still struggle with downward dog.